2015 marked Kinetic Energy's 40th anniversary. For the last 30 years the company's work has essentially been the product of one of the most enduring creative partnerships in Australia: Graham Jones and Jepke Goudsmit. Since teaming up in 1984, they have run an ongoing program of training, research, creation and performance. The merging of their individual dance and theatre backgrounds resulted in a radical synthesis of disciplines, their unique style being characterized by a seamless integration of the dramatic, the kinetic and the acoustic. Their work is hybrid, cross-cultural, and explores contemporary performance in form, content and social engagement. Their many initiatives include collaborations with guest artists, educational work, apprenticeship schemes and exchange programs, as well as providing space and opportunities to colleagues in the field. In the next ten years Graham and his company wrote some colourful pages in the history of dance in Australia. At the end of 1977, after a two year residency at the Seymour Centre, Graham established the first warehouse space in Sydney 's CBD as a permanent home for his company. It was located behind the old Anthony Hordern department store at Liverpool Street, setting the fashion for artist cooperatives to occupy warehouses in downtown Sydney. This was a lively section of the city with a healthy mix of rag trade businesses, restaurants and off beat niche shops like Jazz Garter. For a while the area was affordable to live and work in, friendly to a vibrant cross section of the community, with a Left Bank atmosphere, which Premier Bob Carr later promised to regenerate, but failed to deliver. During the Seymour Centre-Warehouse years Graham collaborated with a large number of artists. Most notably musician John Levine & the Thematic Improvisation Ensemble, who created a string of scores for Graham’s dances. Visual artists Anthea Boesenberg and Charles Arnot produced a series of stage and poster designs. Another visual artist, Merelyn Buzo, designed the costumes for several projects. Graham also encouraged his company members to create their own pieces, helping dancers like Jane Pike and Mira Mansell to establish themselves as choreographers. Graham had now been joined by the Dutch actress and director Jepke Goudsmit, to share the company's artistic direction. Jepke had studied at the Theatre Academy in Amsterdam and at the Mecca for actors at the time: Grotowski's Theatre Laboratory in Poland. For eight years (from 1975 until 1983) she had been a core member of the International Theatre Research Group KISS, led by Jean-Pierre Voos. KISS was renowned for its original interpretations of classics such as the Greek Oresteia and Dante's Divine Comedy, and for its innovation in physical theatre. As well as performing many leading roles (notably Electra, Salome and Virgil), Jepke also taught, directed & choreographed for KISS, and toured extensively with the group in Europe, USA and Australia. On one such tour she met Graham Jones. Jepke and Graham married, and soon the first of their two daughters was exploring the studio floor. By that time, warehouse space in the inner city was at a premium and developers had their eyes on the Liverpool Street premises. 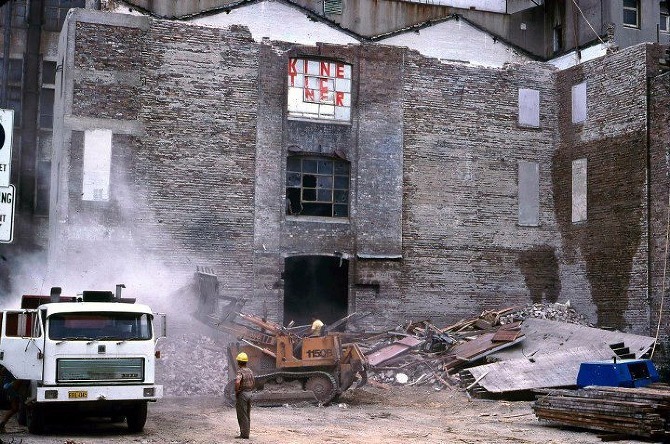 In 1985, the company relocated to a new space at the southern end of King Street, Newtown, which had the potential to become a flexible open-space studio theatre. With the help of some government subsidy, major renovations and fire & safety work were undertaken. In 1989 a Theatre and Public Halls licence was granted. The new venue was baptised THE EDGE as a home base for the company and as a low budget haven for practitioners in the performing arts. Signifying the merging of their individual dancing and acting backgrounds, Graham and Jepke renamed their company KINETIC ENERGY THEATRE COMPANY. Their vision was to build a team of skilled interdisciplinary performers, dedicated to ongoing training, research and creation. They launched an annual program of performance seasons, and continued their creative collaboration with guest artists, particularly with composers and musicians in residence, such as Roger Dean, Don Reid and Kevin Hunt. They also expanded their educational work and apprenticeship schemes. They initiated many exchanges within the wider arts community, most notably through their ONE WITH AT LEAST ANOTHER series. Education remained a strong focus. The DANCE INSIGHT program was broadened to include other performance skills, especially drama and voice. The program was renamed INSIDE OUT, offering a rich choice of workshops and performance items designed to provide an in-depth look at the work of the contemporary performer. Hoad's plea largely fell on deaf ears. But Kinetic Energy kept the flame burning, doubling the size of their body-of-work and expanding their schools and education programs. Two international tours - to Amsterdam in 1995 and to Indonesia in 1996 - were embarked upon. After the Carr government’s election in NSW, the company received a small annual state government grant until 2002. And their ongoing events at THE EDGE in support of contemporary Australian performance were continued. Most notably, the co-directors initiated the DANCE ON THE EDGE project, which they curated together with independent dancer/choreographers Janis Claxton and Carolyn Hammer. Similarly, they launched the JAZZ ON THE EDGE series, together with musician/composer Lee McIver. In 2000, the company celebrated their 25th anniversary, with a retrospective of seven of the major works they had created during their years at THE EDGE, namely: ECCENTRICS, WHO DIES?, WHO LIVES? !, UNDISCOVERED LAND – VOYAGE 1, UNDISCOVERED LAND – VOYAGE 2, GO! WALK!, and HAMLET. In an article on this retrospective, Jess Bell of Revolver Magazine said, “An independent theatre company still operating after 25 years is practically a miracle.” And the Sydney Morning Herald's John Shand, after attending the same retrospective, wondered “If there is anything Jones and Goudsmit cannot do”. But in October 2001, their work was cruelly brought to a halt, when a virtual near-death-experience, occasioned by a particularly virulent form of reactive arthritis, hospitalised Graham and left him partly crippled. They were forced to stop all operations at THE EDGE and vacated it in April 2002. Fortunately Graham recovered sufficiently to begin a limited amount of performing and teaching again in the following year. They revived and updated the INSIDE OUT program. They also embarked on a new project, at the invitation of Jenny Collins-White, national education officer of Catholic Mission, Sydney. This joint venture, called VILLAGE SPACE, used drama, dance, song and music, as tools to educate young people about social justice and human rights. For the next 14 years, Graham and Jepke wrote and directed inter-active plays on thought-provoking subjects like Homelessness, Indigenous Struggles, Climate Change, Refugees & Asylum Seekers, Inequality & Poverty. With the support of Catholic Mission, they were able to engage a team of up to nine performers for this work. And there was still unfinished business to deal with: the greatest lie in English literature! Before Graham's illness, the pair had become intrigued by the controversy over the identity of William Shakespeare. They now picked up the thread and resumed work on their SHAKE-SPEARE project. The first two parts of this monumental undertaking premiered in 2004 at their new Sydney venue at the St Luke's complex, in Enmore. Both plays (SHAKE-SPEARE Part 1 & 2) were then shown at Newcastle University, before going on tour to Baltimore (USA) and the UK at the end of that year. Coincidentally, George W Bush and John Howard were re-elected. Undaunted, Graham and Jepke determined to resist the erosion of Australia’s cultural independence which the sheriff and his deputy would bring on with their free trade, ever more sport and jingoism. So the two co-directors focused on transforming the hall at St Luke’s church into a laboratory theatre space. Having surveyed the place with long-time consultant on theatre electrics Alf de Breau, it was clear the task would be much easier and less costly than that involved with the formation of THE EDGE twenty years prior. Alf connected the three-phase power supply already in the church building to the hall. He lined up a rigger who installed a basic grid system into the hall ceiling. And a sponsorship by Herkes Electrical set up by long-time associate Wayne Kellet, provided a basic lighting rig and operating system for the theatre. Seasons of SHAKE-SPEARE PART 1 & 2, WHO DIES? and UNDISCOVERED LAND – VOYAGE 2 were mounted at the newly fitted-out hall between 2005 and 2007. On the national level, UNDISCOVERED LAND - VOYAGE 2 was toured to Melbourne’s Monash University in 2007, and to La Mama’s Carlton Courthouse in 2008. Heartened by the news that German filmmaker Roland Emmerich was preparing to make a major feature length film about Edward de Vere as Shakespeare, Graham and Jepke rewrote their two SHAKE-SPEARE plays for a larger cast of eight actors. PART 1 was premiered at St Luke’s in May 2008 and PART 2 in April 2009. Emmerich’s film ANONYMOUS made it to the screen in 2011. Locally it received the same kind of heckling from people like John Bell and Phillip Adams that Graham and Jepke had endured for their efforts. Globally the Declaration of Reasonable Doubt about the Identity of William Shakespeare gathered momentum, with Jeremy Irons a notable addition to the honour roll of doubters such as Derek Jacobi, John Gielgud and Orson Welles. Of course Graham and Jepke added their signatures and made the scripts of their SHAKE-SPEARE plays available for a wider readership. There was still work to be done to develop the potential of the company’s new venue. The hall had one of the best acoustics for live music in Sydney. The church space adjacent, with an equally pure sound, was suited for larger ensembles and had a greater capacity. Both were underutilized. Venues for live music were fast disappearing, and there were ever fewer gigs for the kind of improvising and jazz playing musicians that Kinetic Energy loved to commission. The city’s major cultural event, the Sydney Festival, had evolved into a globalised, corporate affair with little or no serious representation for local artists on the main stage. Kinetic Energy had had three invitations to participate since 1977, the last one of which in 1985. So, resolved to create an alternative, and in league with long-time associate artist and jazz trumpet player Lee McIver, Kinetic Energy undertook to set up a major event at St Luke’s that would reclaim our right to be seen and heard to our best advantage in our own city. 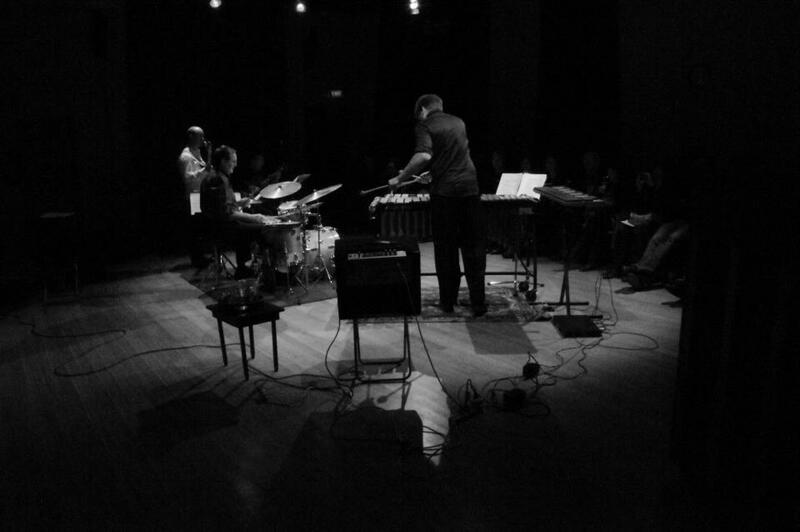 An affordable, low budget event featuring some of our best jazz musicians in a concert environment for listening audiences, with a theatre component involving collaboration with specially commissioned musicians. The result was the inaugural KInetic Jazz Festival in January 2010. So successful was the event, that an ongoing concert series under the title KINETIC JAZZ was initiated. Under this banner, many new projects have since been spawned, the 18-member KINETIC JAZZ ORCHESTRA to name but one of them. And actors, poets, musicians and composers have since come together regularly to make new work. One wonders how much longer the pair can continue to do what they do before time commits them to the usual fate reserved for “true national treasures of the performing arts”: the graveyard of anonymity, along with the real Shake-speare. Until then, the Phoenix and her Turtle Dove (alias Jepke & Graham) will continue to support the arts, create new work, and mentor the next generation. From 2003 until 2008, the VILLAGE SPACE plays were performed in Sydney, the Sydney Basin, and NSW regional centres. From 2009, they were also toured interstate to Queensland, Victoria and South Australia, on an annual basis. The company’s INSIDE OUT program was phased out, as the demand for VILLAGE SPACE plays grew. Actors were engaged to perform in either or both of Kinetic Energy’s performance projects, i.e. in VILLAGE SPACE and/or the regular seasons at St Luke’s. Young musicians from the Sydney Conservatorium took up part-time apprenticeships with the company. This meant that an ensemble of twelve performers was now available for our St Luke’s productions. Between 2010 and 2013 this ensemble performed in KINETIC JAZZ & THEATRE seasons, as well as in two new full-length plays: HOME (about homelessness in Sydney) and EMPIRE (about the current empire, from the ‘birth of the idea of America’, to its present day excesses), both written & directed by Graham and Jepke. EMPIRE was toured to Canberra in 2012, at the ANU Arts Centre. 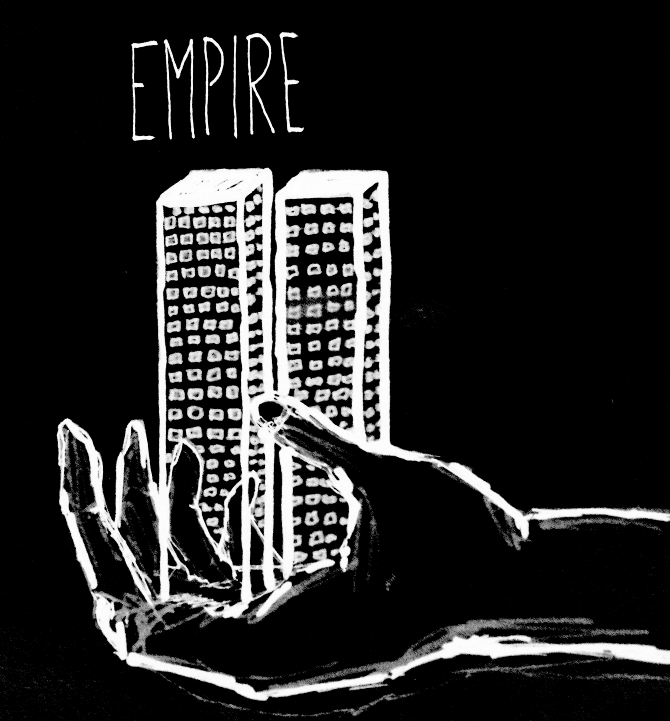 Bronwyn Fullerton wrote in the SMH Sydney Arts Guide about EMPIRE: “There are very few plays today that take a good, hard look at the world stage and make us question our indifference and complacency. …the play is vivacious and inspiring and accompanied by great jazz music”. The co-directors’ two daughters, Jola Inanna and Saha Mayousha, have been intimately connected with the company’s history, virtually growing up in the theatre. When old enough, they joined the team as performers, and as initiators of their own projects under the company’s umbrella. They have taken an active part in the documentation and archiving of the company’s work, through photography and video. Here they joined the ranks of our long-standing friend photographer Corrie Anconé, who had been photographing the company’s work since the days at THE EDGE, in making sure some poignant images would survive despite the ephemeral nature of plays. Indeed, archiving of the unique life & work of Kinetic Energy has started in earnest, with the first collection of posters and programs already stored at the National Library of Australia in Canberra. The rest of our documents, papers and manuscripts will follow in due time. And so Kinetic Energy Theatre Company, with Graham and Jepke at the helm, in collaboration with a large core of associated creative artists and accomplices, kept evolving and creating a place for itself that is culturally and socially relevant for the challenges and dynamics of today. From 2014, the company continued to roll out a bi-annual program of KINETIC JAZZ, POETRY & JAZZ, and KINETIC THEATRE at St Luke’s. Another component was added to the artistic range: KINETIC CINEMA, with footage from the company’s archives and short films by young filmmakers, like May Newell and Saha Jones. The company continued the VILLAGE SPACE project independently from 2015 onwards, after Catholic Mission withdrew its financial support. Seasons of THE FREEDOM RIDE and REFUGE were mounted at St Luke’s in 2014. The next year the company celebrated its 40th Anniversary with seasons of HOME, THE FREEDOM RIDE, KINETIC JAZZ and KINETIC IMAGES (compiled by Jola Jones) at St Luke’s. And, for their ongoing Shakespeare Authorship Awareness drive, the co-directors were included in the list of the Shakespeare Authorship Coalition’s (SAC) notables. For 2016, with urban homelessness on the rise, the company remounted HOME. And REFUGE was redeveloped, given that the plight of asylum seekers at the hand of Australia’s inhumane refugee policy had become more and more acute. The plays were performed at St Luke’s, as well as for various communities with an interest in the topics. HOME, THE FREEDOM RIDE and REFUGE were also toured to High Schools in NSW, Queensland, and Victoria as part of the VILLAGE SPACE program. Since 2017, an entirely new chapter has started: the company has been in transition. Graham Jones had soldiered on since he first contracted arthritis in 2001. However, the illness gradually escalated. Now was the time for Graham and Jepke to retire from their active theatre making and shift to archiving, documenting, writing and reflecting. While the company has continued to support and organise a sprinkling of music, poetry and experimental events at St Luke’s, and will continue to do so on this modest scale, the future will tell what shape and form the company will morph into for the next generation.